Looking for an easy add-on? Craft your own lip treatment! It is so simple! A medium coarse exfoliating agent great for a scrubs! Combine with something natural and mild, like coconut oil! Used to transform dry, wrinkled lips into smooth, fuller lips! It is an alginate treatment that helps to prevent the unattractive signs of cutaneous aging and promote the appearance of the remodeling of the lip contour. An exclusive complex of Marine collagen, Cornstarch, Chitosan, and Ascorbic acid penetrates deep into the lip tissues for intense cellular hydration. Immediately plumps fine lines, softens and smoothes the skin surface for healthy, beautiful lips. Lip Renewal with SPF 50 by June Jacobs is the perfect finishing touch, and makes a great retail product too! June Jacobs has formulated a powerful patent pending anti-oxidant blend of white, red and green tea extracts combined with goji berry, pomegranate, and grapeseed extracts to help neutralize free radicals, protect skin from environmental toxins and combat the visible signs of premature aging. When it comes to the body scrub, there are tons of options out there! What is best for your clients? Of course, both options serve the same purpose, exfoliation! The main difference is the size of the particles. Sugar scrub is smaller in size and therefore is much more gentle on the skin, making them ideal for clients with sensitive skin, and are preferable to use on the face. Decadent aromas of a creamy cup of coffee invigorate while natural exfoliants of Fine Ground Coffee make this the perfect body polish. Pure cane sugar and nature’s gentle buffers sweep away dry skin while it nourishes and conditions. With a rich, buttery feel it can be used daily to keep skin looking dewy soft and silky smooth. The scrub effectively prepares skin to absorb vital nutrients from masques and serums. The warm, sweet, and mild aroma of Vanilla Lemongrass will lift your spirits! Salt has larger granules and is strong enough for rough skin. Salt is chock full of vitamins and minerals, depending on the type of salt used. It also has antiseptic properties and works in detoxifying the body. An effective formula designed to remove dead skin cells and soften the skin. By exfoliating and renewing skin, Salt Glow helps to prepare for Masque and Serum application allowing for more effective nutrient absorption. Dead Sea Salts blended with ultra-hydrating oils and pure essential oils. Creates an intense exfoliation for the entire body. Relax and mentally balance with this fresh, uplifting scent of Geranium Sage! Salt Glow helps draw the toxins from the body and increases skin blood circulation, promoting the growth of new skin cells. Discover the nourishing power of pure herbal infusions as your client's skin is gently exfoliated with this elevating Vanilla Salt Scrub. Your client will enjoy a balancing aromatherapy treatment with the captivating, warm and sensuous fragrance of vanilla. Removes dead skin cells and improve circulation while leaving the skin clean, soft, and revitalized. Contains sea salts, herbal extracts, and a blend of Ayurvedic oils. Basically, a scrub is extremely effective and important for exfoliation. Help your clients maintain their healthy skin, routinely. Scrub type is a personal preference. My suggestion is to have a variety available and make a decision depending on your client's skin type. Want to see more options? Click here! 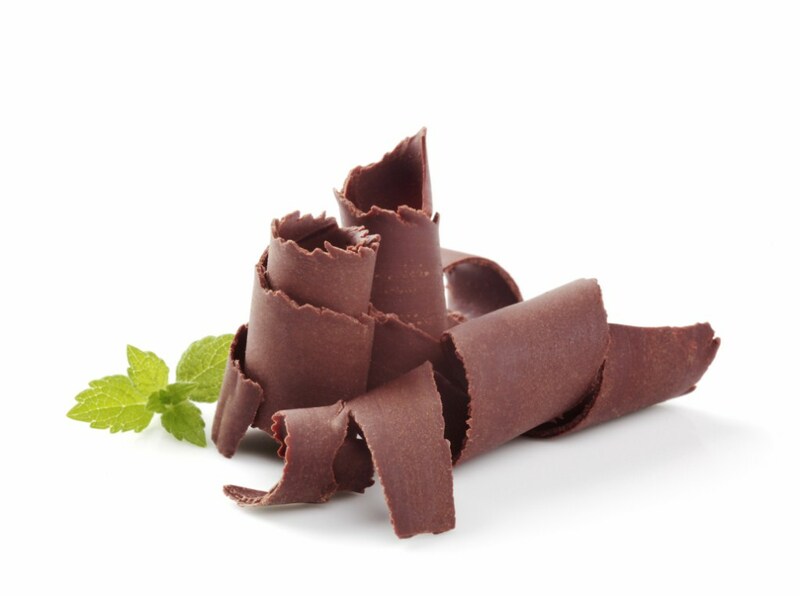 The combination of Peppermint and Chocolate is extremely indulgent, and I'm sure many of your clients would agree! It's a delicious combination, and perfect for the winter season. If you're looking for a new, seasonal scent to bring into your spa for the winter, our Soothing Touch Chocolate Peppermint Brown Sugar Scrub smells amazing! It's a delicious blend of chocolate mixed with peppermint, and it's formulated with 100% organic brown sugar. 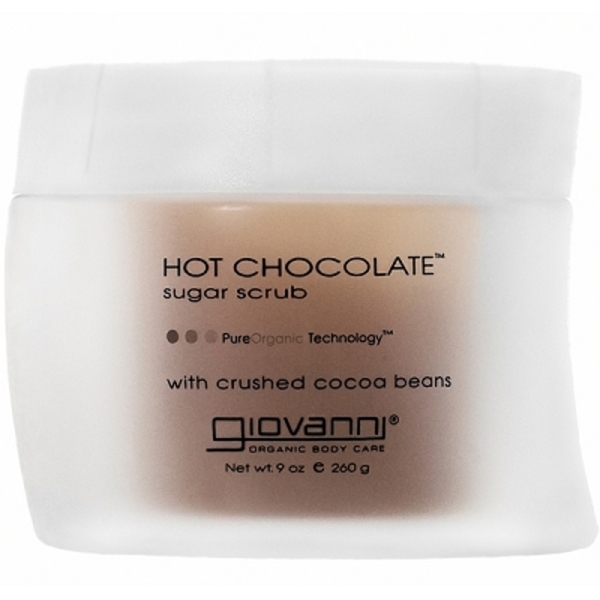 This scrub gently exfoliates skin, while maintaining moisture. 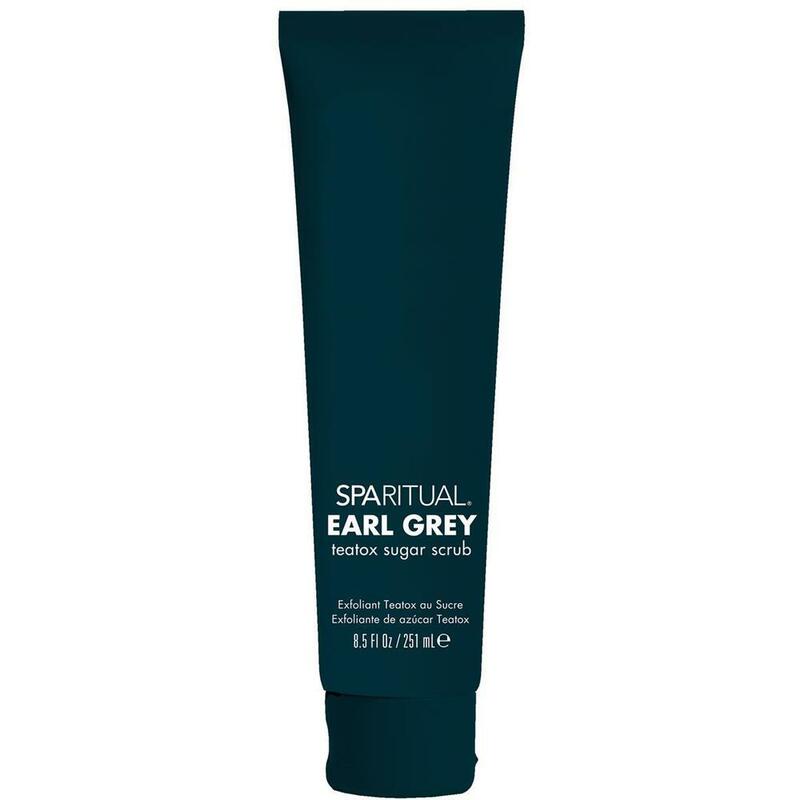 It's a truly indulgent experience, and your clients will love the way this scrub feels (and smells) against their skin! Get it just in time for the winter months ahead! Offer Your Clients Products with Frangipani Oil - They Will Thank You! Not familiar with this oil? Neither was I until I read an recent article on its beauty benefits. Although it sounds like a decadent Italian dessert (yum! ), frangipani oil comes from the frangipani tree which is also known as the tree of life and for centuries has been regarded for its healing powers. This oil is commonly used for its natural anti-aging properties, and also as an aromatherapy to help people maintain a sense of clam. We have a few products made with this luxurious healing oil here at Pure Spa Direct! If you haven't heard of the amazing brand MeBath yet, you are missing out! I personally love their products, and I'm sure your clients will, too. 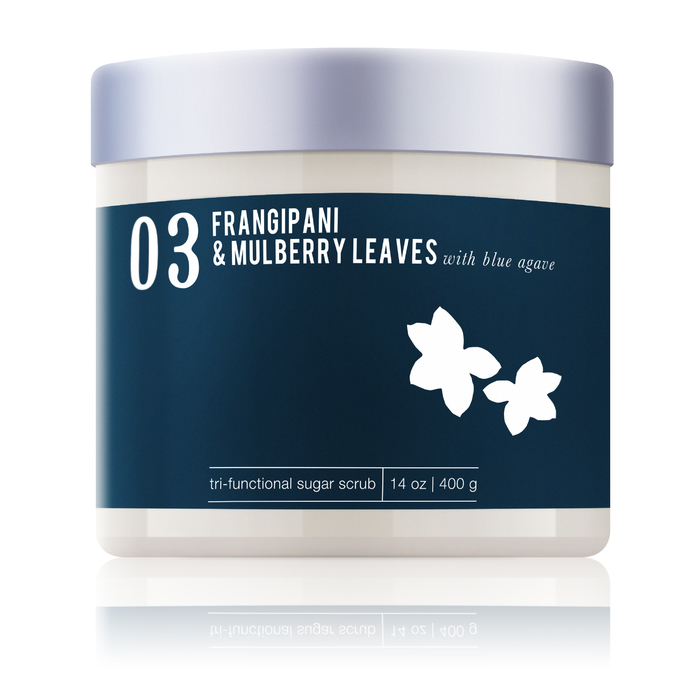 They make an amazing sugar scrub and effervescent soak that's created using frangipani oil and mulberry leaves. The icing on the cake? It's infused with delicious blue agave making it smell so delicious you wish you could eat it! How cute is the packaging too? Get these on your retail shelves today! It's official... summer is here and I could not be more excited! This past weekend marked the summer solstice, and there's already an energy in the air that doesn't compare to any other time of year. Is your spa ready retail ready for the summer months? If you need some last minute restocking, we here are Pure Spa Direct have a great, seasonal product that's prefect for your clients. Our Summer Vacation bundle from Hempz is basically like summer vacation in a bottle. See what I mean below! This Hempz Summer Vacation Collection celebrates the delicious scents of the summertime your clients will love! With dreamy fragrances like blueberry and summer fruits, and nourishing ingredients infused with essential fruit extracts, your clients will keep coming back to your spa all summer long - I guarantee it! This kit includes a Facial Hydrator and Moisturizer to give your clients' faces a refreshing break from the heat, as it is enriched with antioxidants and vitamins to protect skin from the summer sun. The Sugar Creme Body Scrub is great for exfoliating the skin, giving your clients the perfect canvas for a glowy, sun-kissed look. Last but not least, the Creamy Hydrating Body Wash hydrates while it cleanses their skin, making way for a radiant glow all summer long. Sugar can be seen as both a blessing and a curse. It's a personal vice of mine, and I'm sure for many of your clients as well! Lately it's been getting a bad rap, and even seen as poisonous and toxic. While it may have a bad reputation in sweets, it most certainly makes up for it in regards to skincare. According to an article I read, sugar is actually a natural source of glycolic acid which is perfect for exfoliating dead skin cells. This in turn can smooth and even out the skin, making it a perfect regimen to add to your client's skincare. Are you in need of a new retail product to sell to your clients? How about a new sugar scrub spa treatment? We have a variety of sugar scrubs from MeBath that are perfect for retailing to your clients! 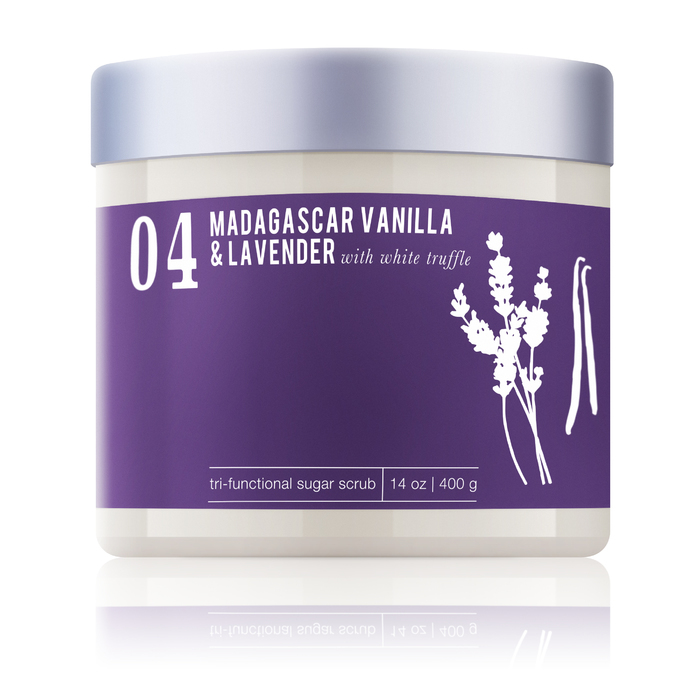 With scents like Madagascar Vanilla & Lavender With White Truffle (yum! ), and Toasted Coconut & Lime With Sandalwood, on top of the attractive packaging, your clients can't help but be addicted! This tri-functional exfoliating sugar scrub is a revolutionary 3-in-1 formula that exfoliates, cleanses & moisturizes. Gentle enough to be used daily, this sugar-based scrub is infused with the finest organic jojoba oil, known for its remarkable ability to stimulate the production of your body’s own natural emollients. It's no secret that green tea offers a variety of health benefits ranging anywhere from weight loss to anti-stress relief. Health stores and wellness boutiques alike are implementing its powerful effects on health, beauty, and even anti-aging properties. I am all about green tea, don't get me wrong!.. but did you know that white tea is actually even more powerful than it's older sister?! I say older sister because green tea and white tea actually come from the same plant, the Camellia Sinensis. However white tea is harvested at a younger age, hence its stronger effects. It is less processed than green tea, allowing it to retain a higher antioxidant content than green. Higher antioxidants = stronger effects! The reason green tea gets all the credit is because it has been studied extensively, it's more common, and it's easier and less expensive than white. We're putting the lime light on white tea with a variety of products that contain this anti-oxidant rich herb here at Pure Spa Direct! These products are a fun way to change up your normal green tea treatments you offer or retail at your spa, or to simply add a new variety of tea products! 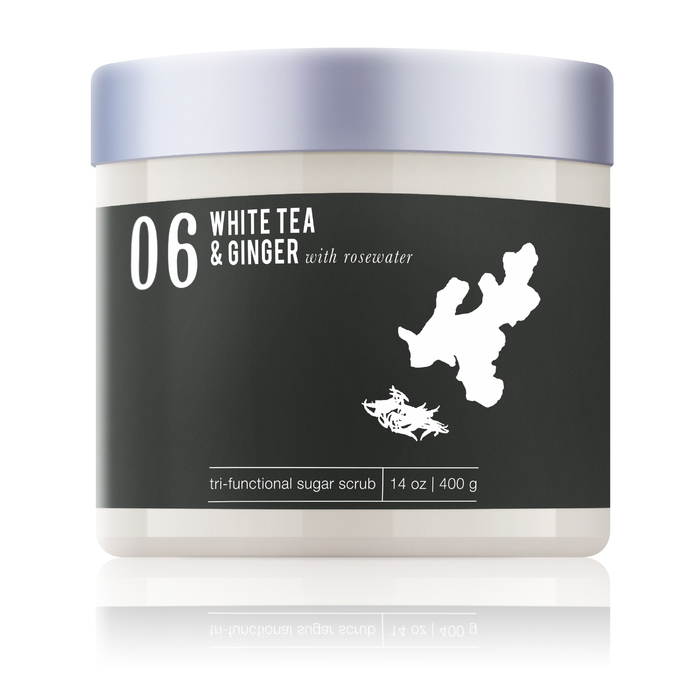 Check below for some of my favorites..
We just got in this white tea and ginger sugar scrub here at Pure Spa Direct, and I could not be more excited! This is actually a 3-in-1 formula that exfoliates, cleanses, and moisturizes. It's perfect for spa treatments including pedicures. Change up your pedicure menu by adding a white tea spa pedicure that will certainly intrigue your clients from the normal green tea pedicure they're used to. Its attractive package design is also great for retailing! To go along with the sugar scrub, we also have these adorable mini effervescent soak scrubs that are great for retailing! We also have the large soak scrubs which can be used for professional treatments in your spa. 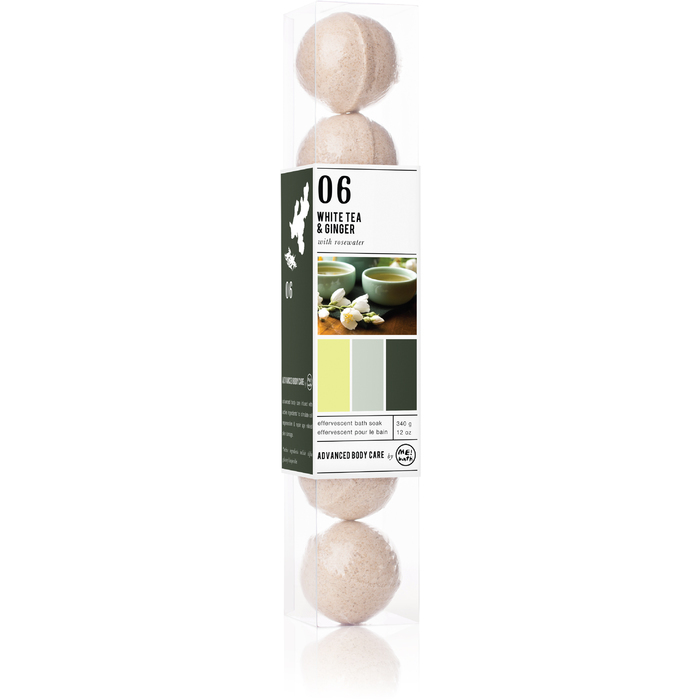 These bath bombs are great to implement in your new white tea spa pedicure, as they replenish lost moisture and promote a youthful appearance, especially for hands and feet. Do you offer beverages to your clients? If not, we have a variety of white tea options that can be a great feature to add to your spa! 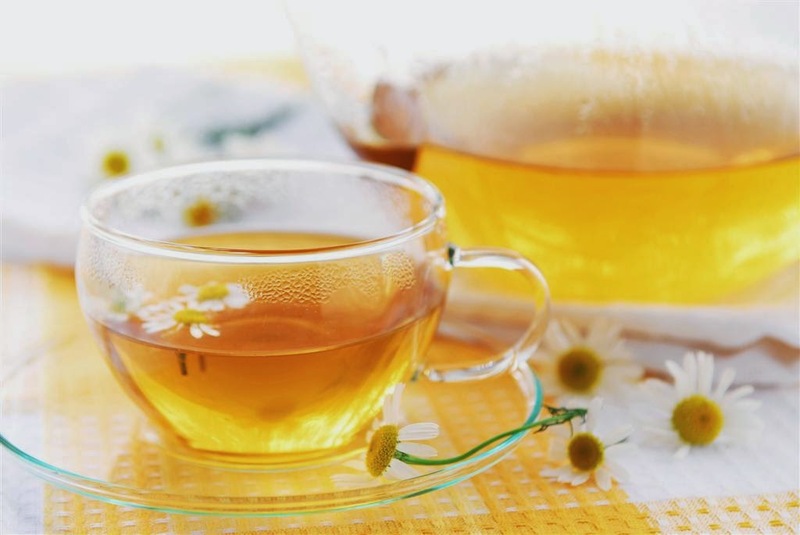 Click here to view the various types of white tea we have and get your clients hooked on this anti-oxidant rich beverage! Scrubs is an essential part of all body treatments. When you are choosing a treatment with your client, you want to take into consideration the clients skin type. For your clients with more sensitive skin, a sugar scrub would be great since it is less irritating. However, for clients looking for a detox treatment, a scrub containing volcanic ash is perfect for this. I'm a huge fan of body scrubs, my all time favorite is still the Desert Mineral Detox Scrub. I am always looking for great new products to try and recommend. This past week I tried the Zanzibar Clove Sugar Scrub by Mother Earth. The first thing I noticed was how great it smelled. It has a subtle clove smell, not too strong where it's all you can smell. The second thing I noticed was the consistency, it's slightly less abrasive than many of the sugar scrubs I've tried. I have very sensitive skin and this scrub was gentle enough to not irritate it. A little bit of this stuff goes a long way, it really is a cost effective product! You can go a long way using this for your services, the profit margin is something everyone can be happy with. It also is a great product to retail to your clients. My favorite thing about this scrub is the smell once I showered. My skin did feel amazing but the lingering hint of clove was perfect. Sometimes scrubs only smell good while they are on, this one stayed on until I showered again the next morning. If you're looking for something a little bit different for your service menu and/or a new retail product to try, this is a great budget friendly product to give a shot. Hey Ladies and Gents'! I have some fantastic news!! Pure Spa Direct is now the exclusive wholesale supplier of the June Jacobs Spa Collection. Up until very recently, this elite skin care line was only available for purchase in the finest 5 and 6 star resorts and hotels around the world. However, the line is now available for purchase for Pure Spa Direct customers as well!! From personal experience, I have found that spa treatments are one the most homogeneous services in the salon, spa, and wellness center industry. Everywhere, the treatments seem to be using the same products and same technique. In order to stand out from the rest and supply your clients with truly the finest services and retail, I highly recommend implementing the June Jacobs Spa Collection into your facial and body treatments. I understand from talking to so many Pure Spa clients that making the leap to a new brand product can be scary. Fortunately, my coworkers and I have chronicled our favorite June Jacobs products so as to give you some more insight into this fantastic line. The moment that you open this beautifully packaged scrub, your senses instantly become invigorated with the sweet and tart smell of lemon. It is aromatherapy at its finest. The scrub itself is rich with skin moisturizers and nourishing oils so that when the sugar on your skin has melted away, you are left with glossy, supple skin. I highly recommend this for exfoliating services in your spa. I'm just going to say it. I have problematic skin. I have pasty, dull, highly sensitive skin with stress breakouts. When getting facials, the moment the mag lamp is turned on, I hear an 'Oh..,' a sigh, and a attempted diplomatic description of what to do about my pores. Well, I would like to personally thank Ms. Jacobs because she has changed my life. This Pore Purifying Mask has been a life saver for me. I applied a thin layer with a synthetic bristle face brush and I just let it sit for 15 minutes. In all honesty, it burned. It wasn't a burn that made it unbearable but it sure did let me know that it was cleaning deep into my pores. At the end of the 15 minutes, I was concerned with what my skin would look like. Anytime I have applied masks, my face would be as red as a lobster for hours. Upon rinsing my face, my skin looked bright and clear with not a single hint of redness or irritation. Consistently using this mask, even for a short period of time, has evened out my skin tone and cleared up my acne issues. I highly recommend this masque for acne treatments as well as back and chest facials. I also recommend retailing this so that your clients can take it home to add to their skin cleansing routine. In addition to my clogged facial pores, I also have extremely dry skin. The Vanda Orchid Dry Oil Body Spray is the perfect prescription to treat this condition. This product, along with ALL June Jacobs products, is free of preservatives, parabens, petrochemicals, synthetic dyes, sulfates, and synthetic fragrances. The is a delicate hint of a floral scent to this body spray. I apply it everyday onto my wet skin upon getting out of the shower. After spraying it on, I either rub it in or let it dry. Either way, I am left with soft, supple skin that glows. I absolutely love this product! I recommend using this at the end of wet body treatments. Spas across the country should update their services to include the elite June Jacobs Spa Collection because the entire line is mutually beneficial for the client and the business. The client is able to experience the zenith in skin care, which will then lead them to not only come back, but bring friends for the truly unique and special experience. In turn, as a business owner, this supplied you with consistent business and free advertising. So call us up today to have your spa services modified to include June Jacobs. You and your clients will be glad that you did!